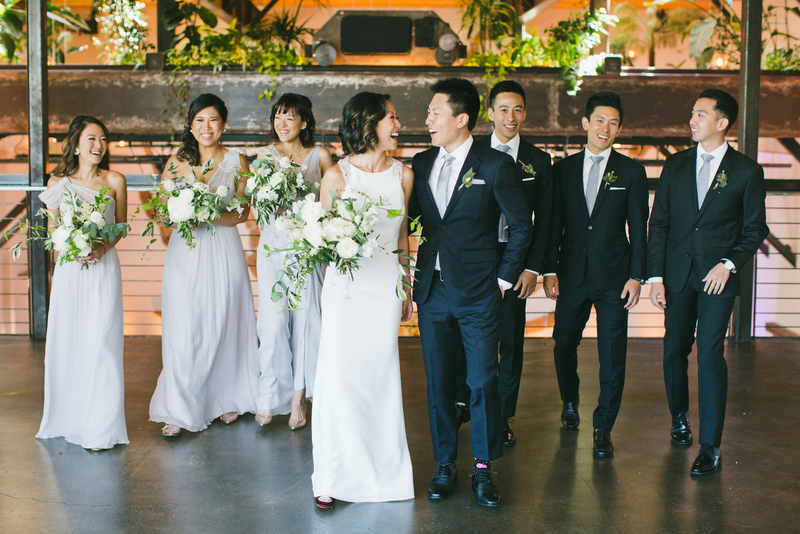 Annie and Aaron hosted their Bay Area wedding at The Pearl —a lofty, artistic space that they secured for their big day before the venue was even complete! 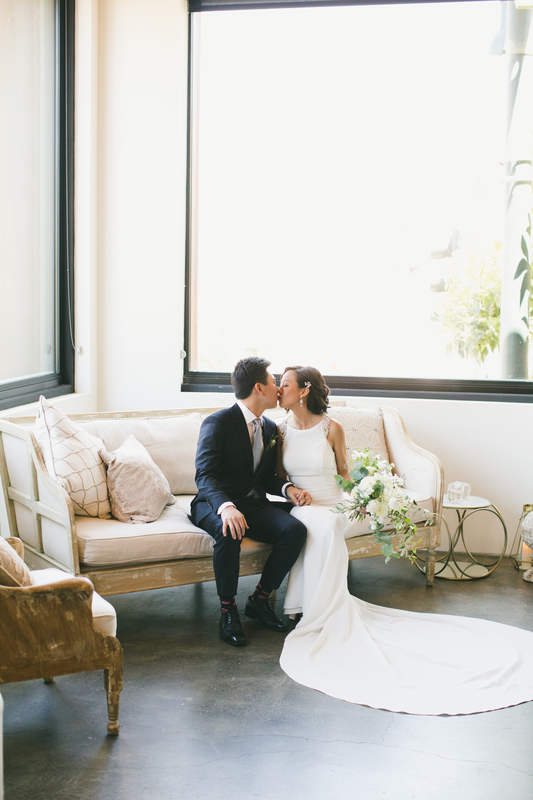 The couple enlisted the talent of Olea & Fig Studio to design their perfect day by incorporating the bride’s modern taste and the groom’s quirky vibe. 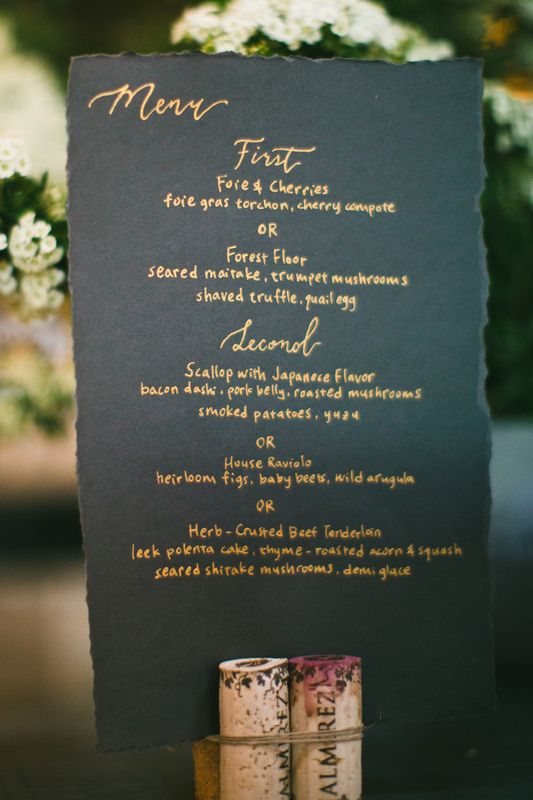 The result was a beautiful, minimal modern wedding, organic but not rustic, with several personal details designed by both Aaron & Annie. 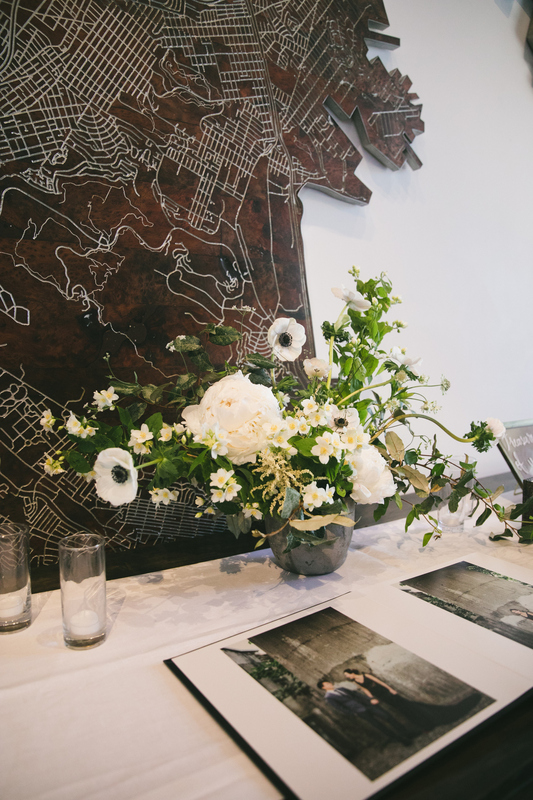 Amazing greens and florals everywhere were created by The Bloomery Co., stationery by Minted & Olea & Fig, a cake by Jasmine Rae Cakes was the epitome of the couple’s vibe and lucky for us they enlisted the genius of ART IS FOR LOVERS to capture it all! 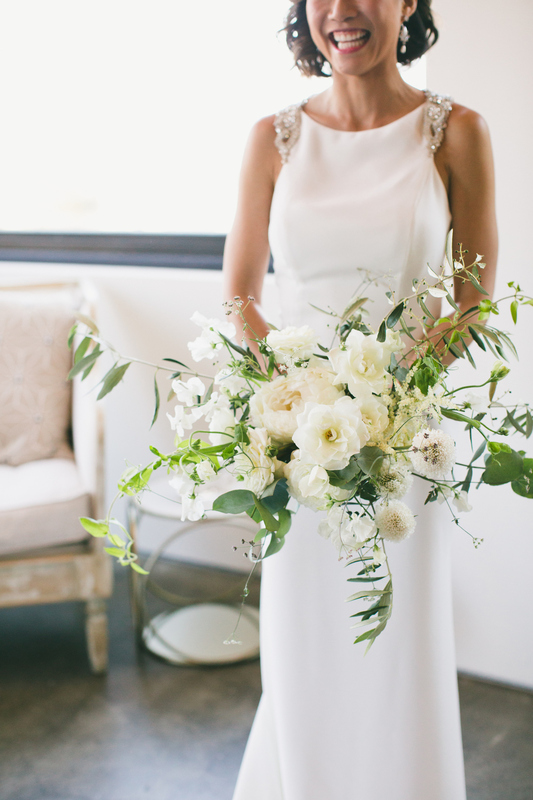 From the Bride: We wanted something minimal but modern, organic but not rustic. 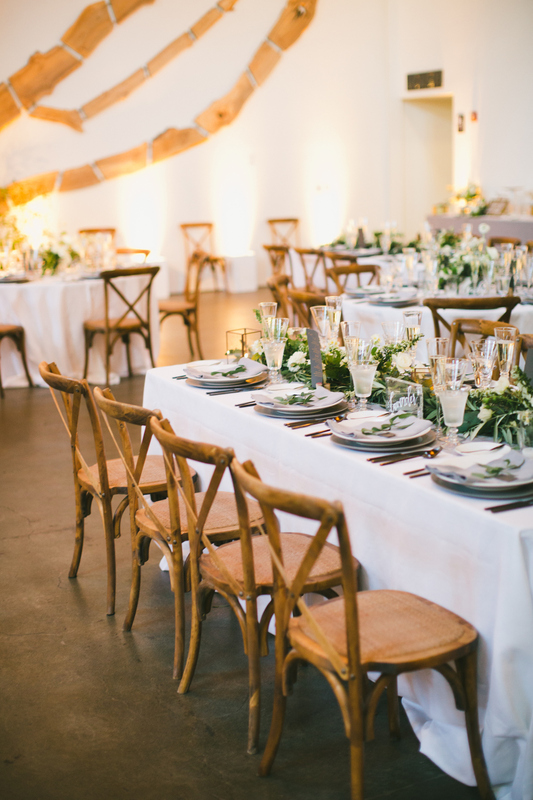 After scouring through all the venues we could possibly find in San Francisco Bay Area, we fell in love with the Pearl right away even before the venue was completed and furnished. 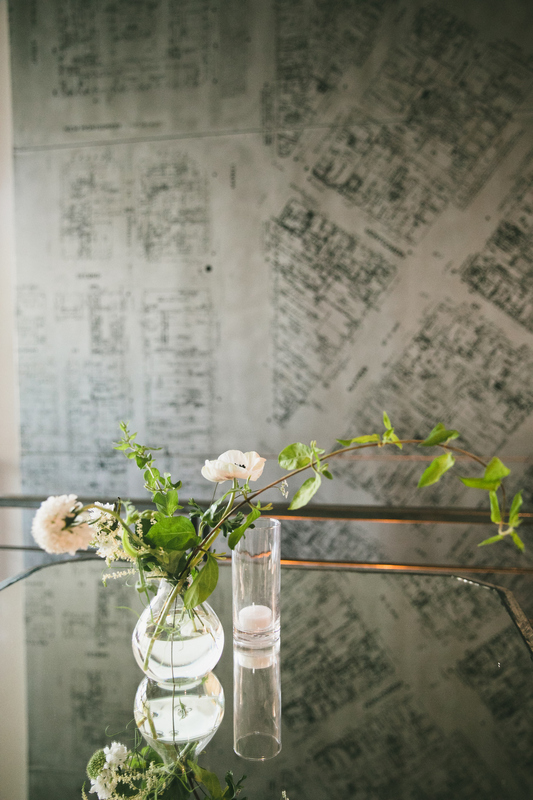 All decor, furniture and stationery were chosen and created based on the same aesthetic concept, and so are our attire and even cake design. 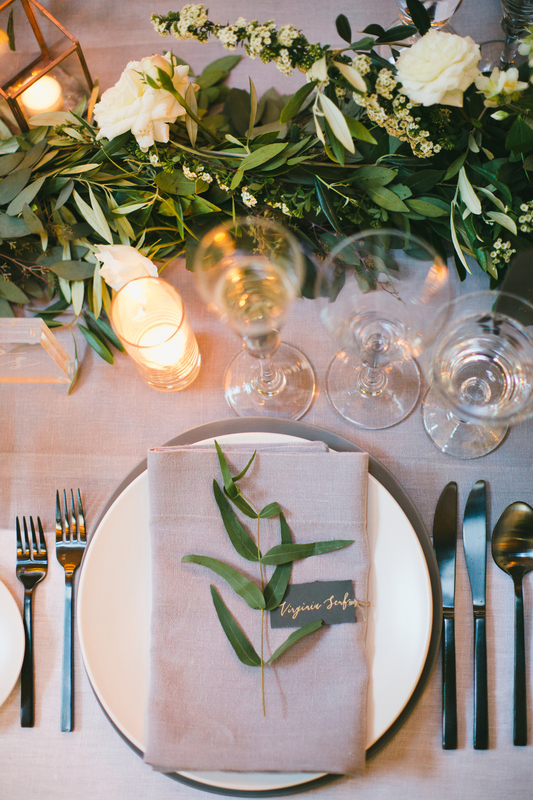 We also picked herb names as table names ensuring that herbs were a cohesive theme through out our drink and dinner menu, along with the greenery focus floral design to echo the overall organic feel. 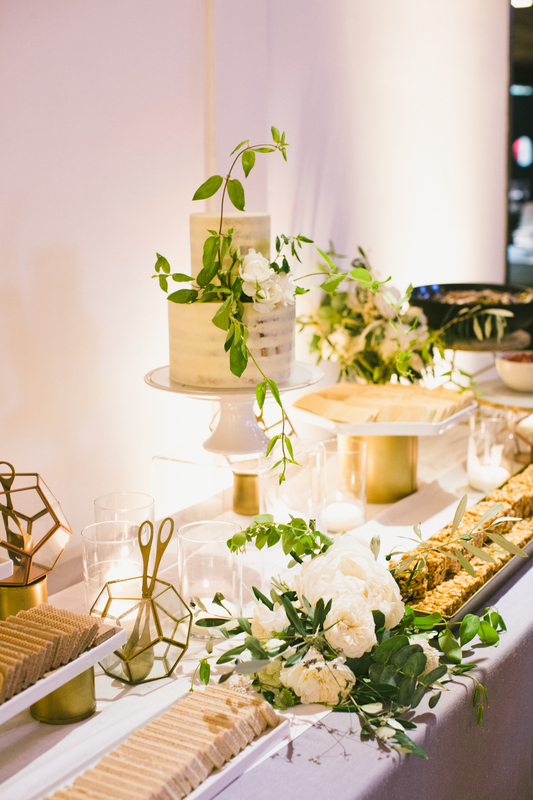 And as we are both Taiwanese who have been studying and living in the States for almost 20 years now, we incorporated our Taiwanese roots in our desserts and late-night snacks with a new American dinner reception. 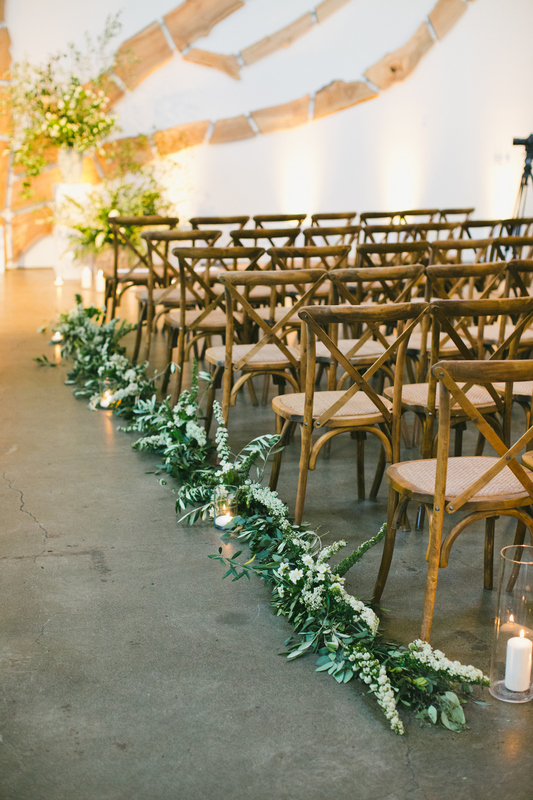 Wedding planning can be one of the most fun and rewarding projects you’ve ever done, especially when this is for you as a couple to tell YOUR story creatively! Do not be limited by the resources available to you or the categorized trends you see on publications. We had SO MUCH FUN, every moment of it! 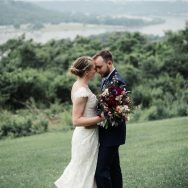 Having a wonderful vendor team certainly gave my OCD self a completely stress-free wedding day, and one of the best days in my life! 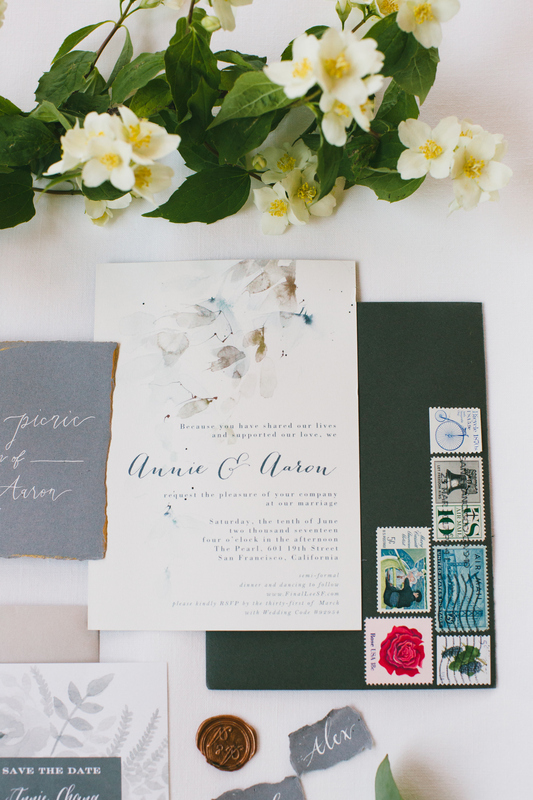 Annie’s everyday style is trendy, modern and minimal, which makes the dress searching process not so easy. 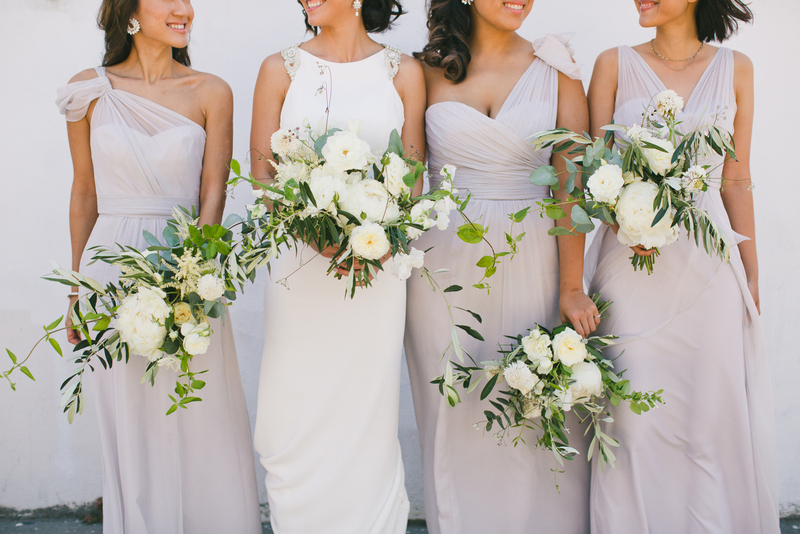 She basically went to all the bridal shops she knew in San Francisco, and was not able to find a simple and elegant dress which also gives that wow factor, much needed for the grand and design-y venue. 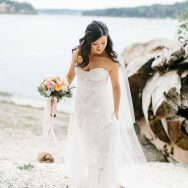 BoLee Bridal Couture was her very last stop in the Bay, and as desperate as she was, as soon as she put on Atelier Pronovias’ Emmett, she knew it was the one. The silk crepe created the perfect draping and contour while the detailed design of the back emphasized the bridal modern glamour. 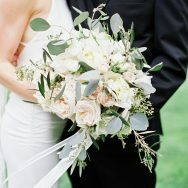 (The bride was the planner & calligrapher herself). 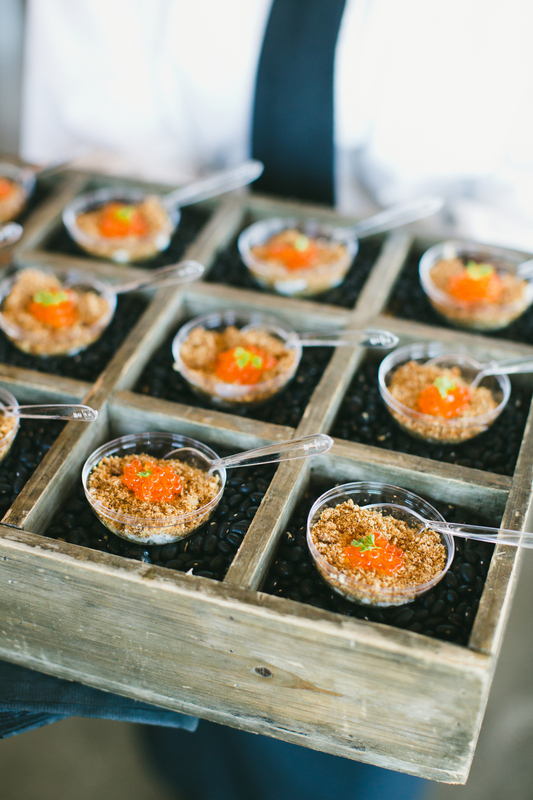 Given that the bride and groom are both originally from Taiwan, the reception was new American – Asian fusion inspired cuisine followed by Taiwanese desserts and late-night snacks featuring their favorite snacks from their childhood. 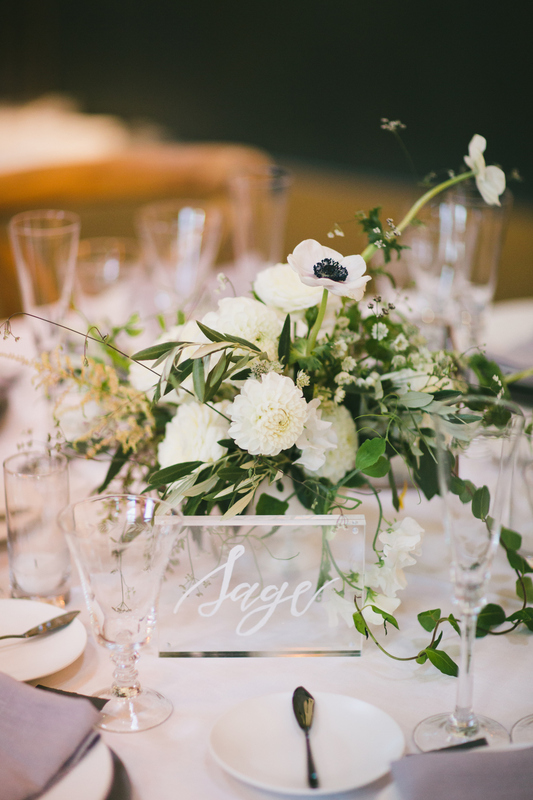 All the place cards, calligraphy menus, thank you bag, table names and mirror signage were hand written by the bride & the Olea & Fig Team the for that beautiful natural vibe. 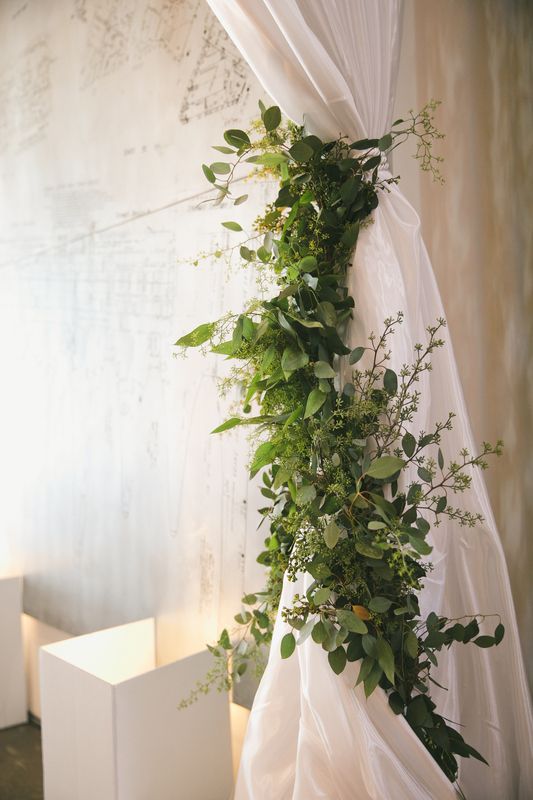 Given that the bride is an ex-fashion blogger and stylist, the seating chart was scripted and printed on pieces of muslin cloths to integrate that garment component. 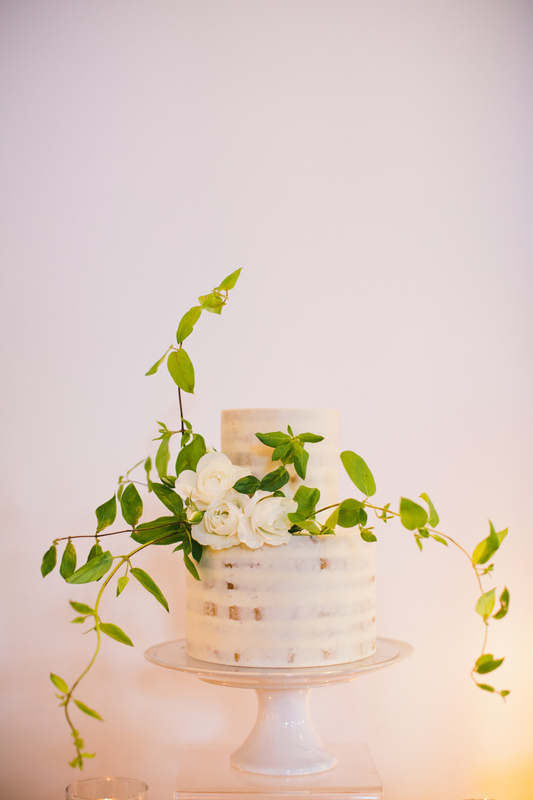 As the groom is a coffee enthusiast, for guest favor, he hand picked the coffee beans and experimented with different cheesecloth for filtering cold brew. 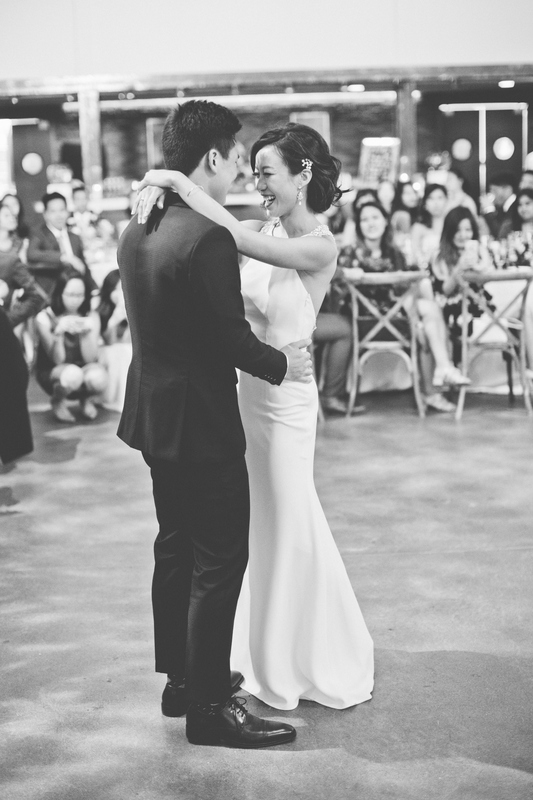 The couple surprised everyone with their first dance. They started first with How Long Will I Love You by Ellie Goulding, then with the main song being Watch Me by Silento. Annie met Aaron during her freshman year in collage when Aaron was a senior. They were introduced by a good friend at Aaron’s house party. Aaron asked Annie to be his girlfriend the following New Year’s Eve under the fireworks in Taipei, Taiwan. 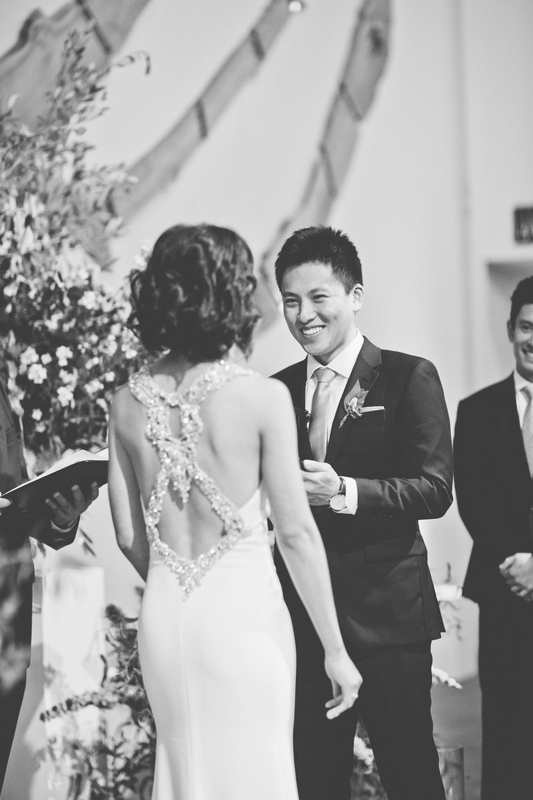 They were in three years of long distance relationship after college, and were finally both in the Bay Area in 2012. 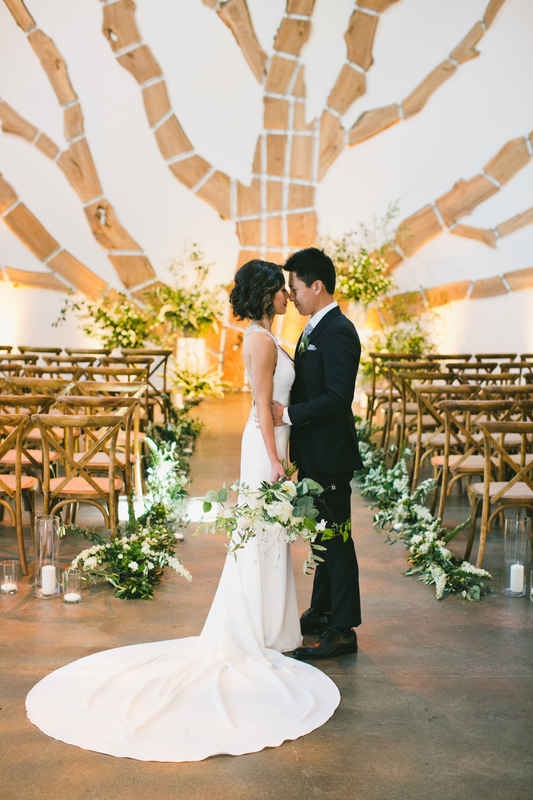 On 12/19/15, Aaron took Annie on a day trip to Point Reyes supposedly to celebrate their 9-year anniversary together. 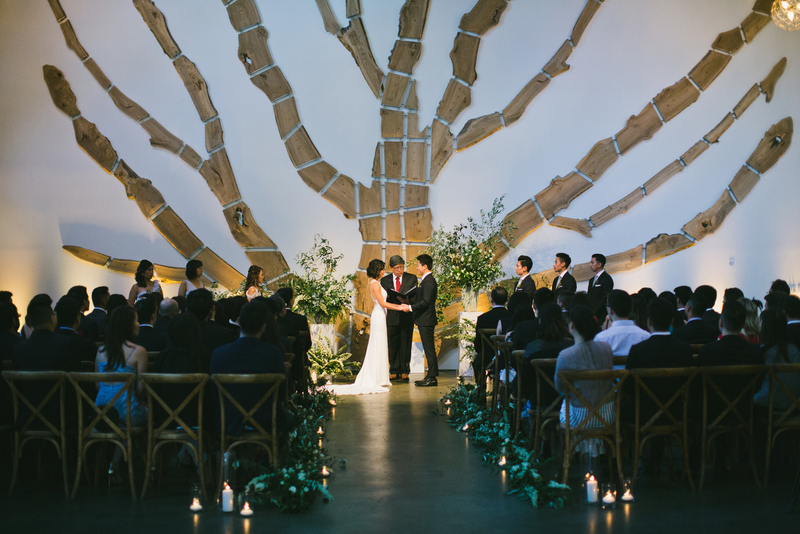 As usual, Annie always brings her video camera along to record all the trips they took together, which perfectly captured Aaron’s surprise proposal at the intimate Cypress Tree Tunnel. 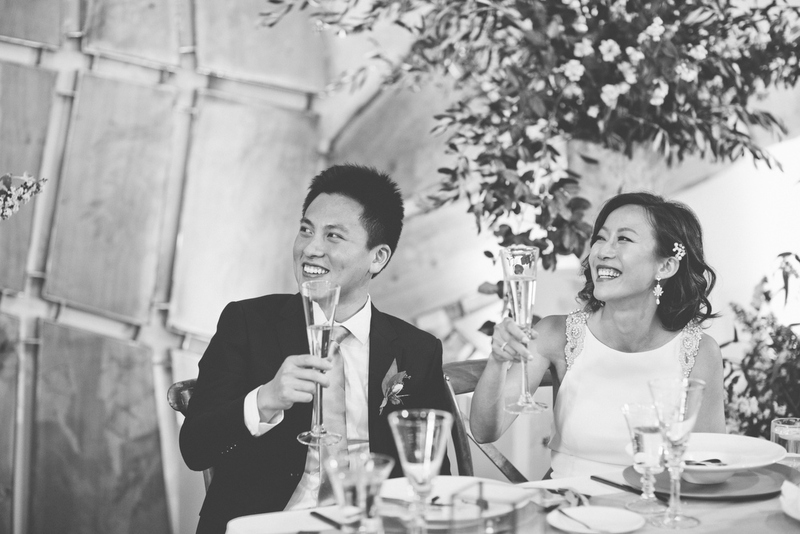 They then spent the rest of the day enjoying their alone time and amazing seafood by the bay before heading back to family and friends to share the wonderful news and the hilarious video that captured the perfect surprise proposal moment. Wow, very nice work. 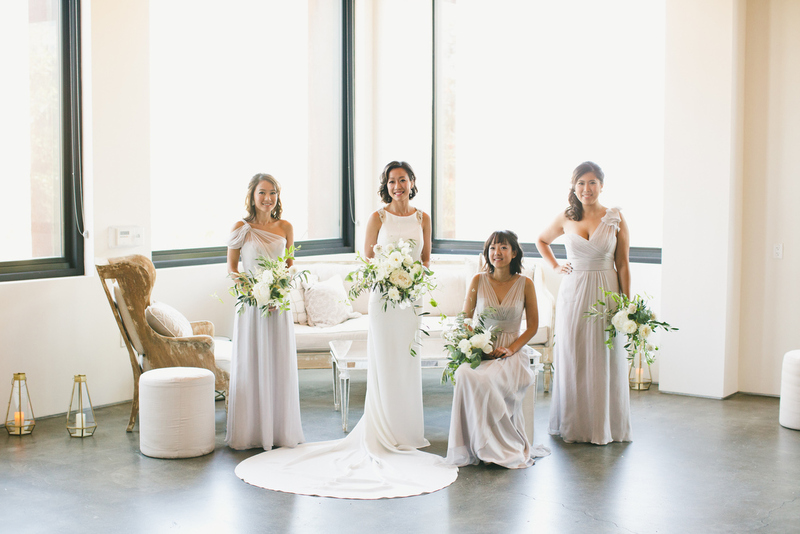 I love the classy bridesmaid photo. Really really nicely done!